By using a, Florida Real Estate attorney you will avoid UPL (Unauthorized Price of Law) challenges. An attorney conducts a closing and issues a title insurance policy as a licensed legal professional. An attorney, provides title, search, and settlement solutions that help streamline transactions and reduces the risk of noncompliance, code lien, permit issues, mortgage satisfactions, claims of liens. 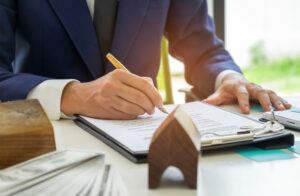 An attorney will have the knowledge and the experience on clearing these title matters, and will do so not only as a closing agent, but as your real estate lawyer. Call the Law Offices of Jennifer D. Peshke, P.A., today to hear firsthand about what services we can add to facilitate your real estate transaction at 772-231-1233.